Congratulations to Word of Mouth for winning the Eat Salem Top Pick 2012 as voted on by the readers of this site. This is the second time this restaurant has been favorited by Salemites. Back in 09'/10' they won with a similar percentage of the vote. The owner's Becky and Steve Mucha work very hard at keeping their customers happy and are often found in the kitchen making your meal just right. I've gotten into the habit of pointing out-of-town guest, especially Portlanders, to their restaurant. The response after eating at WOM is always positive. It takes a lot more then just serving great food to please customers in this town. Becky and Steve have done a stellar job hiring experienced, friendly servers that keep your coffee cup full. The atmosphere of that little house on 17th is just right. Yes, there is usually a wait to get in, but you don't go there thinking you're going to be seated right away. It's part of the experience. I enjoying hanging out in the front, talking with locals about the news of the day. Word of Mouth is a long time sponsor of Eat Salem and we are grateful of that. Their support, as well as others, have made it possible for this site to explore the dining scene in Salem. Hopefully, we have been able to supply good, accurate information about restaurants to our readers. 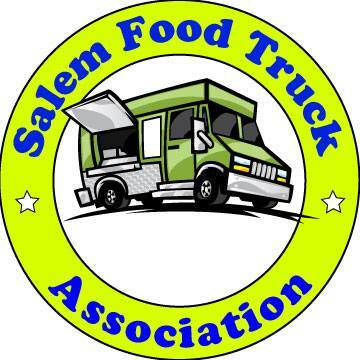 To celebrate this victory, we will be planning an Eat Salem event for the end of the month. Stay tuned for more info. ouch , that is sad wonder who is voting? Couldn't have happened to a nicer place...Their Prime Rib Benedict is out of this world, and they're happy to swap out the muffins for steamed spinach for us low carb types. Om nom nom! Though I am not a huge fan of their food (the ambiance is stellar), just about everyone I know loves word of mouth. We don't go there too often because there is usually a line, but that tells me a lot of people like it.